Russell's younger brother. He was uncomfortable with fraudulently posing as the Elric Brothers, and was disturbed by the side effects of the Red Water. While the other brothers Russell and Edward fought, Fletcher and Al became friendly, and Fletcher eventually helps convince Russell to not fight the Elric Brothers. The Tringum Brothers specialized in alchemy dealing with plant life. 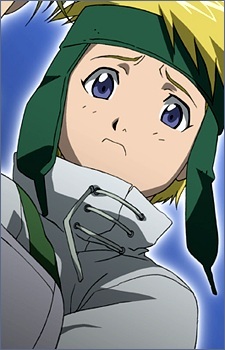 Sony's Aniplex anime DVDs spell his family name as Tringum, although Sony's Aniplex website spells his name as Tlingum. FUNimation's anime DVDs spell his family name as Tringham. Fletcher and his brother had a small, albeit crucial role in "Goodbye" and "The Other Side Of the Gate," where they were almost executed for being the Elrics, before informing Ed of the existence of the Underground City.